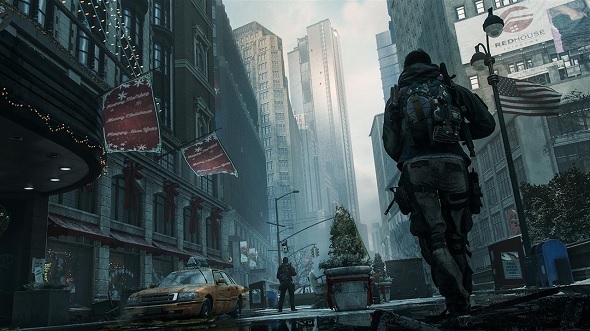 This weekend you can download and play The Division for free. The offer lasts from September 6 – 9 and includes up to 70% discounts over on Steam and Uplay for the full game, as well as its Gold Edition, Season Pass, and DLC. Already downloaded a free trial? No worries, you can still participate in the weekend offer. However, small note, you won’t be able to continue on your saved game and will have to start fresh. You can also play with friends and strangers online including anyone else taking advantage of the trial. If you want to continue your save from the free demo then you can buy the full game at a discount and your save will be carried over. Unfortunately, only the standard edition of the game will be playable for free this weekend, with the Underground, Survival, and Last Stand expansions not included – though, of course, they are on sale. 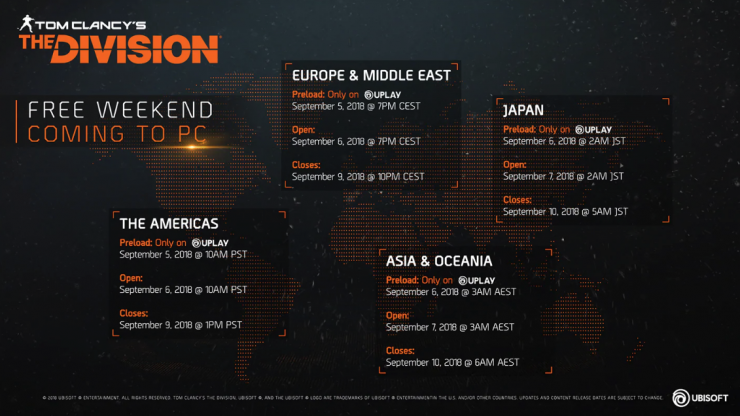 For those of you who haven’t played The Division before, make sure you check it out this weekend before the sale ends on September 9, 13:00 PST. It’s available worldwide so be sure to check out what time the event will start and end using the schedule below taken from the official website. The original Division is one of our picks for the best multiplayer games on PC so if you haven’t gotten around to playing it yet, now is the perfect chance to get up to date with the series before the sequel launches. If you’re excited for the Division 2 you can get involved with the beta and sign up over on the official website. It’s already Ubisoft’s most popular beta with four-times more registrations than their other games and it’s not even begun. The Division 2 will be released on March 19, 2019, and if you’re super keen you can pre-order the game now over on the official website.